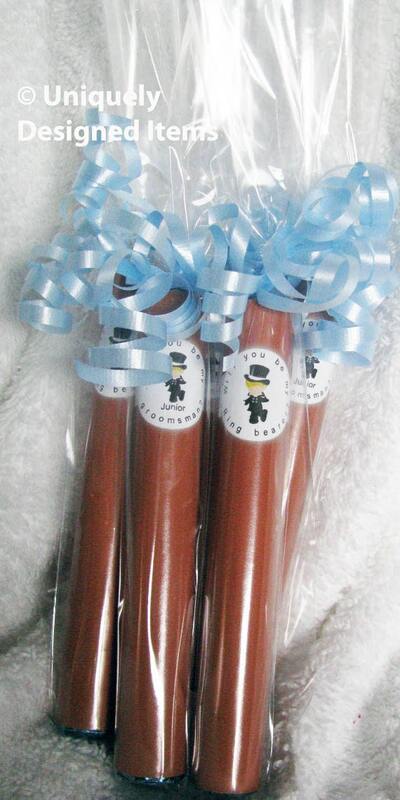 Ring Bearer Gift - Ring Bearer - Junior Groomsman candy "cigars" also great for baby announcements! Order as many as you like. This is set up so you get the best shipping. 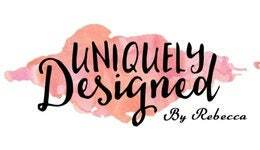 However I can do more than 8, please convo me for a custom order. These are also fun and unique for a new baby. Great for dad, grandfathers and uncles to hand out! 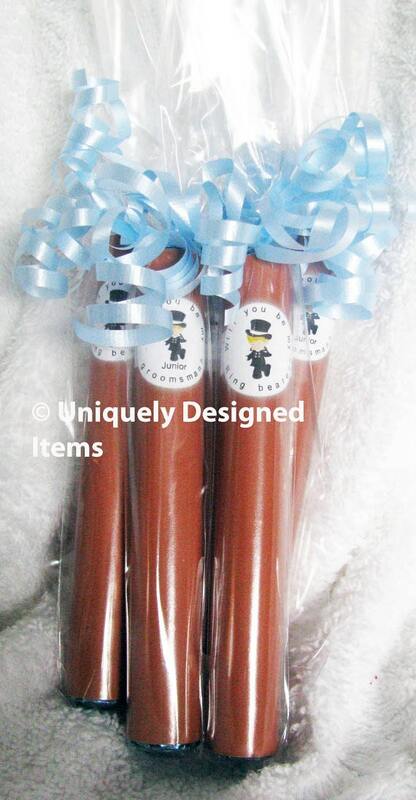 These candy cigars are a great choice! They come in mint for the boys and fruity for the girls (mentos candy). 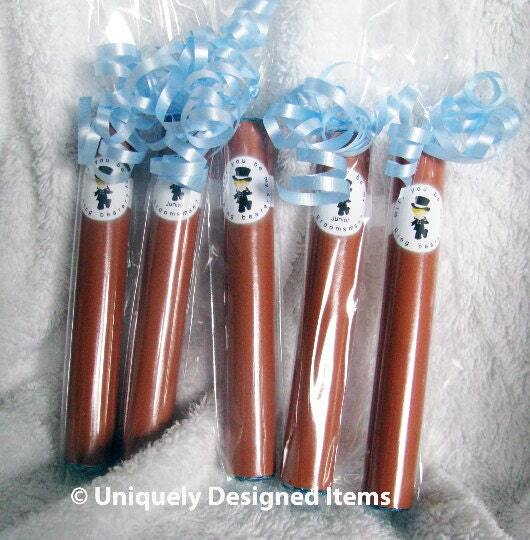 If you'd rather have rolos you can custom order those (slightly higher in price). See second picture for a close up view. I wanted to show the whole "cigar" finished. But also the close up. 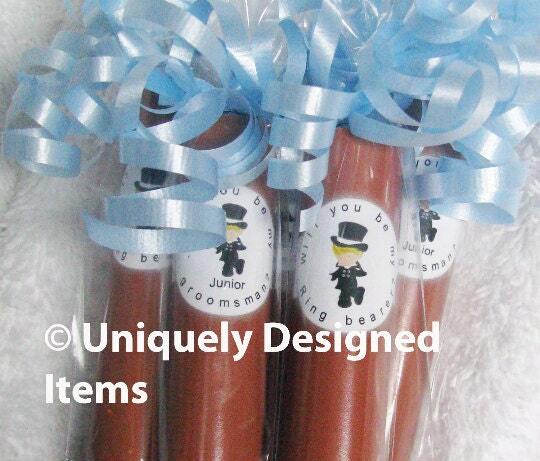 Each cigar is $3.50 and made with a mentos. I have strawberry, apple, mint and cinnamon. We can put the baby's name on or just put "It's A Girl" or "It's A Boy". We also have graphics for twins or triplets as well! Shipping is based on a medium flat rate box. Which should hold about 100 pieces. If you want less, please let me know. If you live outside the US, I can check the shipping by weight to see which is less. Feel free to convo me.